The 2017 Honda Civic is available now here at Brilliance Honda of Crystal Lake. This remarkable small car should catch the eye of any discerning Elgin area shopper. If your tastes lie somewhere between the budget-friendly Civic LX and the practically luxurious Touring model, then the Civic EX-L might be a good bet. With many upscale features and an easy to swallow price tag, the Civic EX-L is a good compromise. The Honda Civic EX-L comes standard with some important safety and security features. Highlights include a multi-angle rearview camera and the LaneWatch blind spot monitoring system. It also gets multiple airbags, traction and stability control, and anti-lock brakes. Want to test-drive the latest that Honda has to offer? 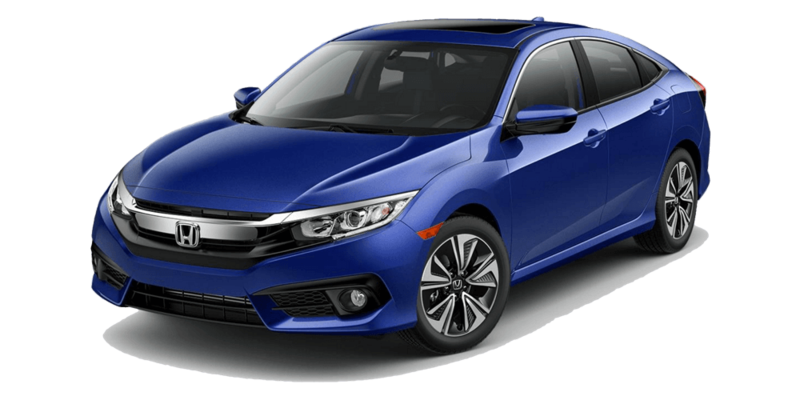 You can find the right Honda Civic model for your needs. We’re located at 680 W. Terra Cotta Ave. in Crystal Lake, IL, so stop by today.